This is maybe hard to admit…whatever the right words are…but these brownies are better than my “brownies from childhood”! I think it’s the buckwheat! 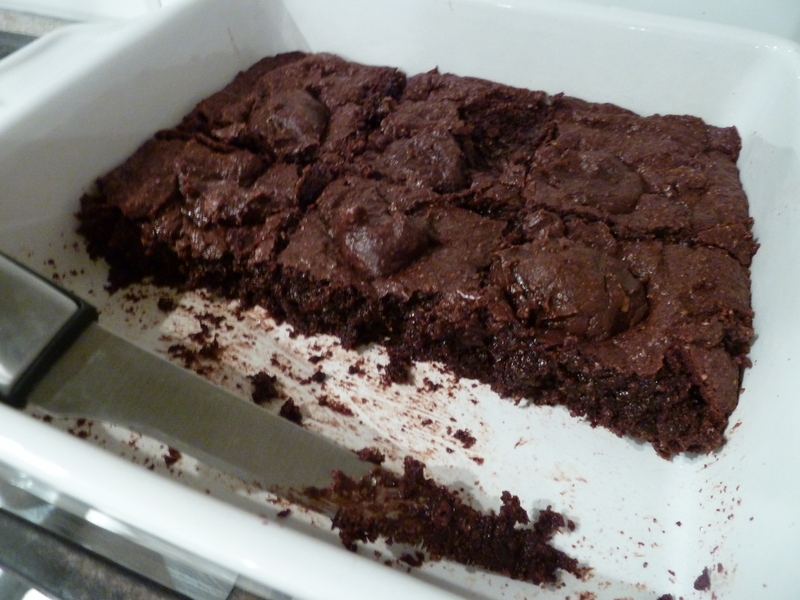 Words cannot describe the fudgey, rich chocolate-y, chewy goodness of these brownies! The buckwheat flour adds to the chewy factor. 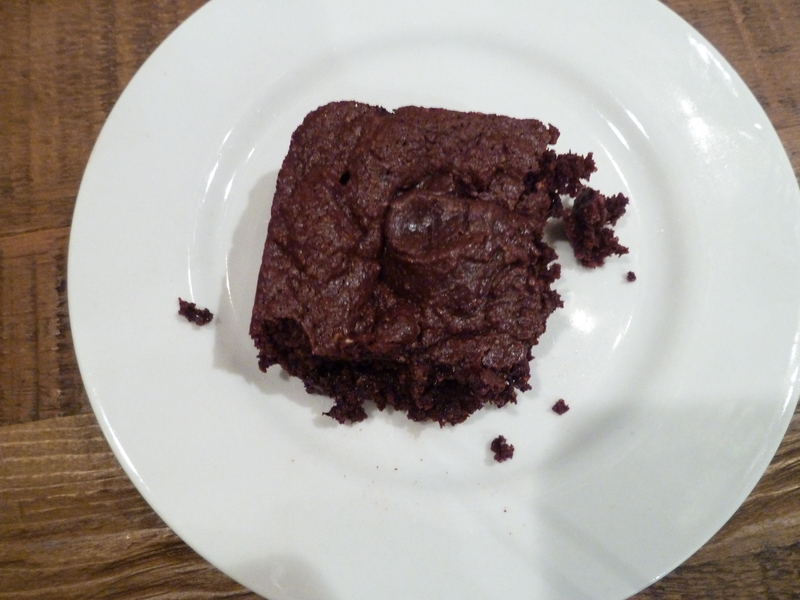 It makes me wonder why all brownies aren’t made with buckwheat flour? What is buckwheat? It’s not a grain like you would think. It’s a fruit seed in the rhubarb family. They are high in magnesium…which is good for you for many reasons…hey, I’m not a nutritionist but I’m trying to learn! 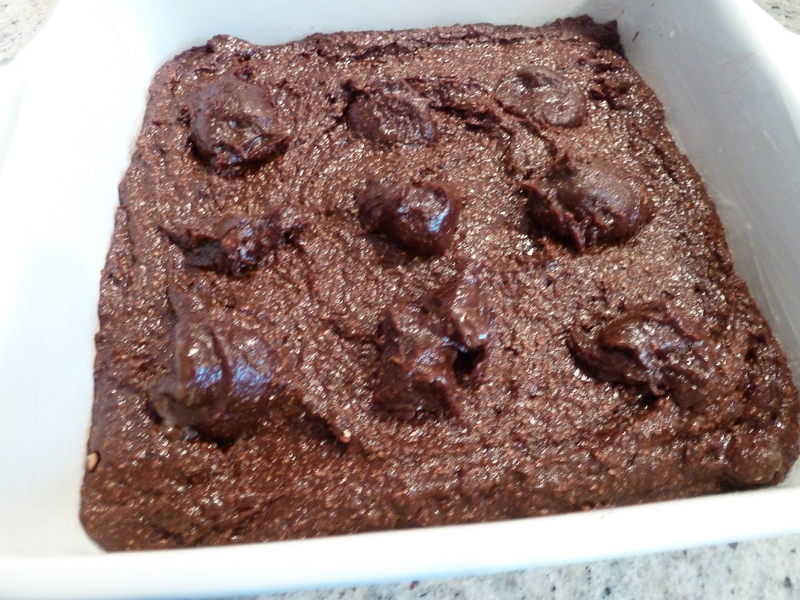 Here are the buckwheat brownies before they were baked. I didn’t have the walnuts that the recipe called for so I decided to use dots of the homemade chocolate hazelnut butter that I made. Prepare an 8×8 square baking dish by rubbing coconut oil around the bottom and sides. In a small pot, melt the butter over low heat. 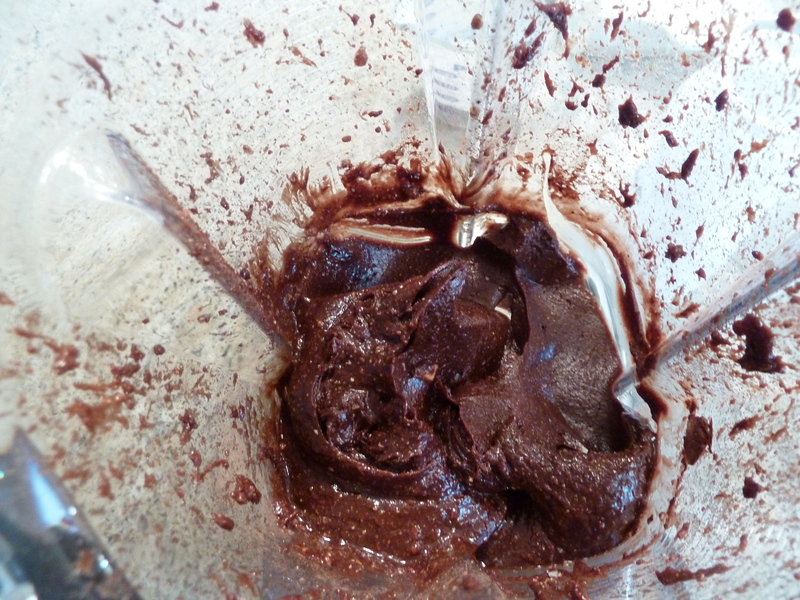 Add the sugar and cocoa powder, stirring until combined. Pour into a medium bowl and allow to cool slightly. Add vanilla and eggs and stir well to combine. Add buckwheat flour, salt and baking powder and stir well for about 2 minutes, making sure to incorporate anything that may have stuck to the side of the bowl. This is the point where you can fold in walnuts if using. 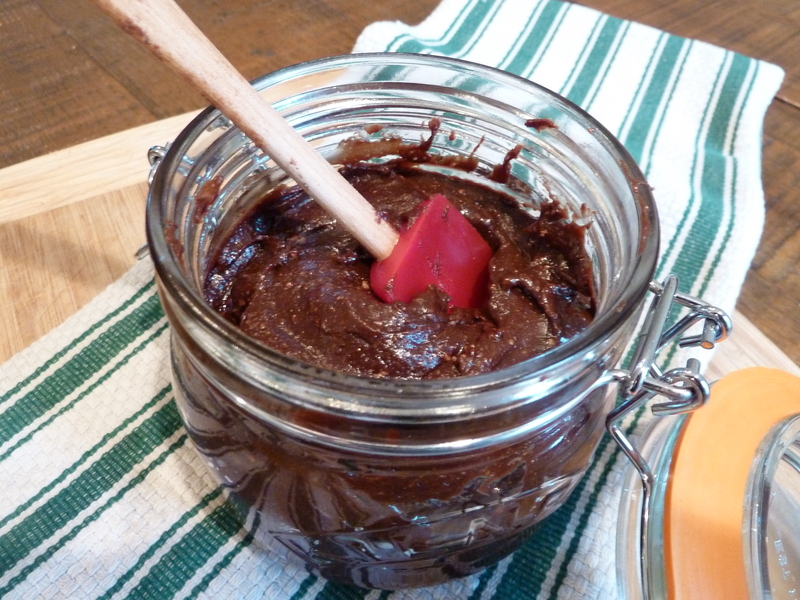 I decided to use 9 dallops of my chocolate hazelnut spread. Pour batter into the baking dish and spread evenly. Bake for 28 minutes or until a knife comes out clean. When done, remove immediately from the baking dish and allow to cool completely before cutting/serving. 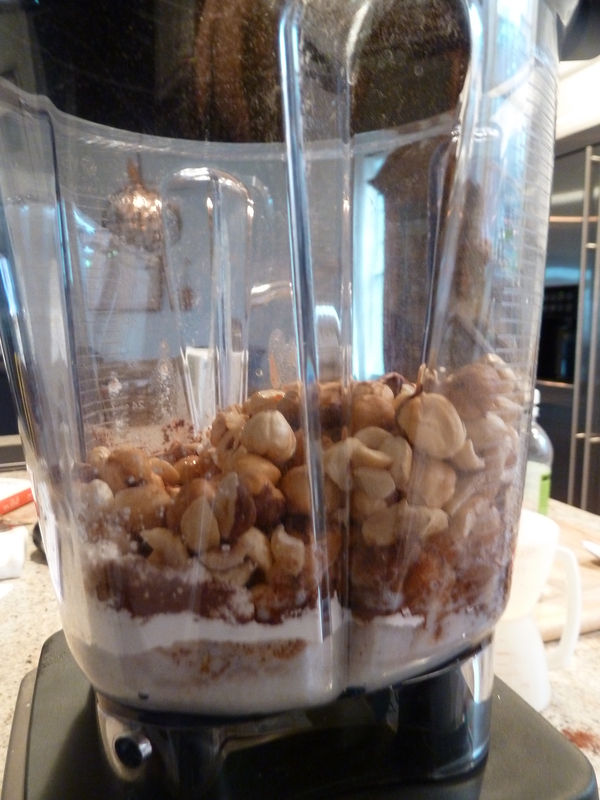 A specific B vitamin found in hazelnuts called thiamin works to help regulate your nervous system and aid healthy muscle and cardiovascular health. This valuable vitamin and antioxidant eliminates free radicals within your body that have connections with causing cancer. Hazelnuts lack both sodium and cholesterol, making them a healthy choice for those watching weight and looking to improve heart health. The small nuts contain viable amounts of magnesium and calcium, both of which greatly improve bone and teeth formation and density. Each also helps regulate metabolic functions. 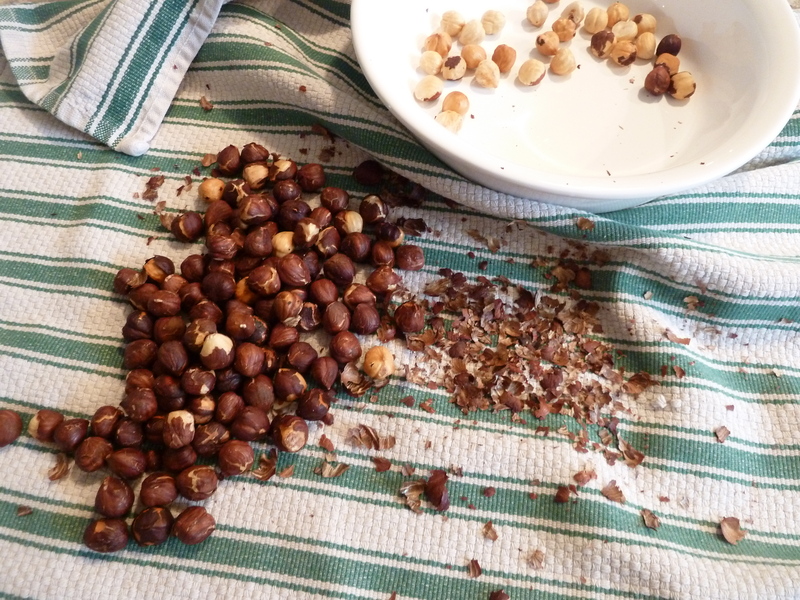 The copper within hazelnuts plays a vital role in protecting against and improving some forms of arthritis, slowing down the overall aging process, and even stimulating brain cells. Copper also works to increase immunity, protecting you against common sicknesses. Coconut oil increases the body metabolism by removing stress on pancreases, thereby burning out more energy… Hence, people living in tropical coastal areas, who eat coconut oil daily as their primary cooking oil, are normally not fat, obese or overweight. Coconut oil also helps in preventing premature aging and degenerative diseases due to its antioxidant properties. You should read the whole section under “Other”! 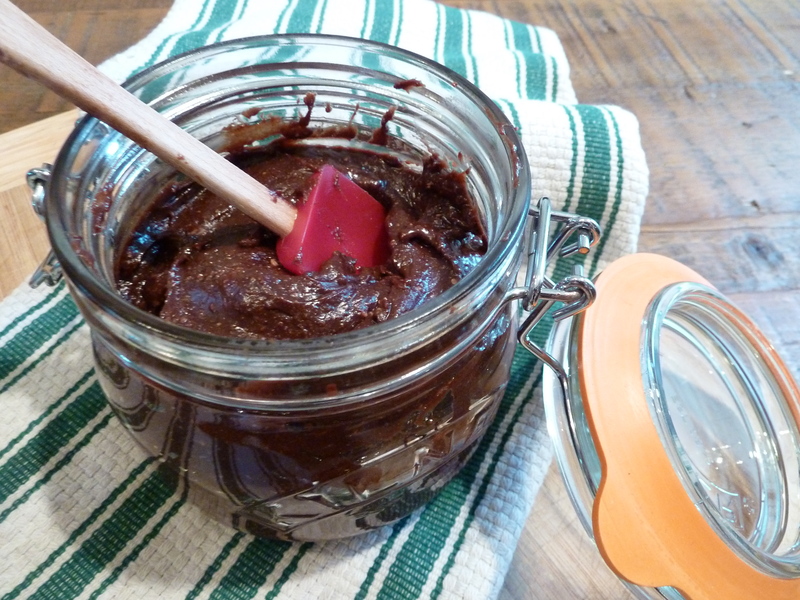 Doesn’t it look great in this jar? Give me a spoon! Preheat oven to 400 degrees. 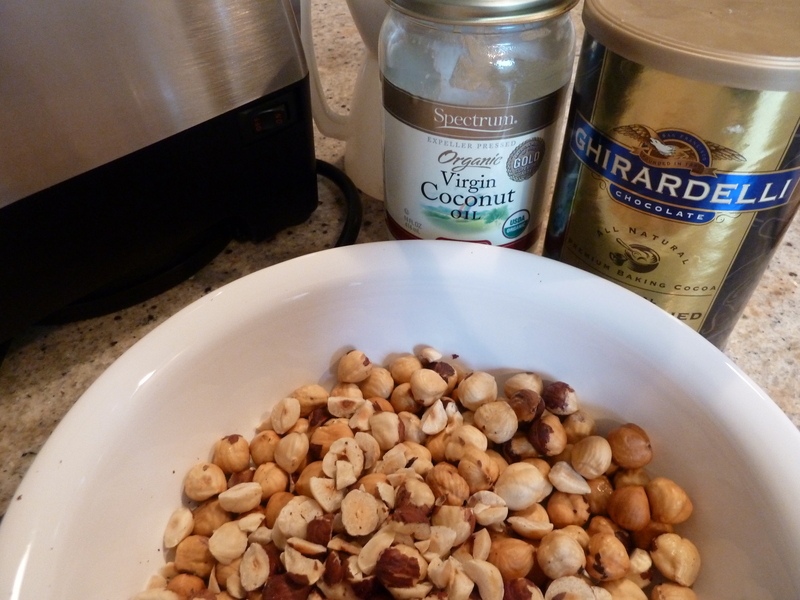 Place hazelnuts on a baking tray and roast for 10 minutes. Take them out and shake them around about halfway through. Once roasted place them on a clean kitchen towel and try to remove as much of the skins as possible. Discard skins. 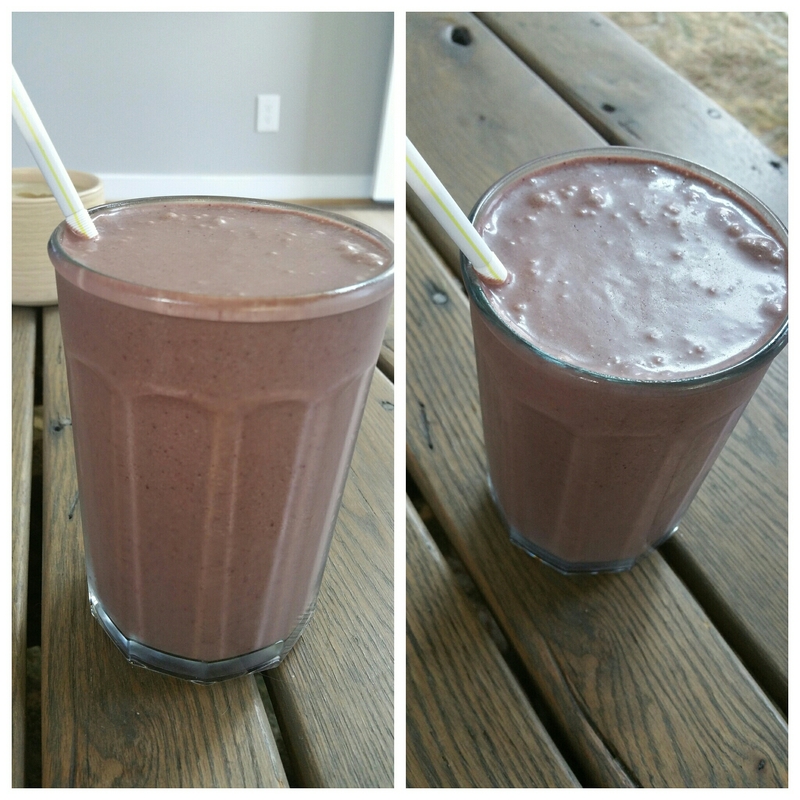 I used my Vitamix and placed all ingredients in the order listed. Start at level 1 and move dial very slowly to level 8. Run for 20 seconds and turn off. Makes 2 1/4 cups of chocolate hazelnut butter. Enjoy on toast, apples and slathered on crepes etc.